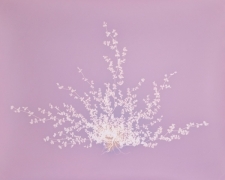 Joseph Bellows Gallery is pleased to announce Han Nguyen: Tracing Shadows. This marks Nguyen’s third solo exhibition with the Joseph Bellows Gallery. Tracing Shadows will feature stunning unique photograms, displayed in groupings and grids, as well as large-scale unique prints. 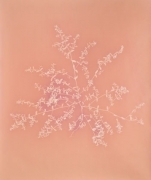 The enchantingly sun drawn flora imagery in Nguyen’s new exhibition forms a reverent connection to the medium’s rich history; to the early botanical calotypes made by Fox Talbot, as well as to the plant forms recorded by Blossfeldt, in which beauty and science reveal art. In other pieces, Nguyen renders quiet arrangements of rock forms for the viewer to meditate on their seemingly ephemeral existence. The photogram becomes both object and image through Nguyen’s delicate handling of the printing and subtle toning processes he employs. 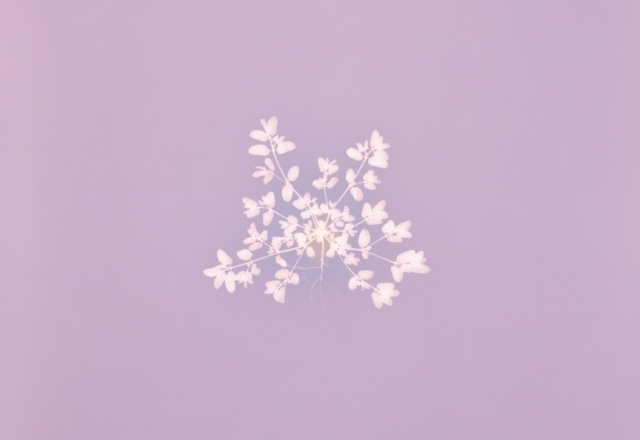 The resulting print is held, floating within its white frame, allowing the paper to both present itself, as well as allow the image to transcend its form. An opening reception for the artist will be held Saturday, January 11th, 2014, from 6-8pm. The exhibition will continue through March 11th.